As the showdown nears today over King County Council enactment of the $20 car tab fee to save Metro bus service, I have a responsibility to debunk the myths being advanced at the last minute by the Washington Policy Center, which is pursuing its anti-transit agenda with anyone who will listen. The WPC is distorting the history of Metro’s revenues and services. It is twisting the recommendations of the Metro Transit Strategic Plan and the Regional Transit Task Force. And it’s confusing our guidelines for efficiency with the flat-out loss or degradation of service – the kind of cuts that the public in recent weeks has dramatically risen up to oppose. The underlying cause of transit’s current financial instability is Initiative 695, passed statewide in 1999 but rejected by voters in King County, which led lawmakers to remove the motor-vehicle excise tax (MVET) for public transit and leave transit reliant on the sales tax. The sales tax approved by voters in 2000 replaced only part of the lost MVET funding. To call it a tax increase wrongly implies it came on top of something else. It was a replacement, and not a complete one at that. It is looking at things backward to speak of the Transit Now sales tax measure in 2006 as if it’s inability to deliver the additional service that was promised had something to do with Metro’s costs or management. Metro delivered on Transit Now up until the economy collapsed in 2008. After the collapse, Metro in essence never saw any increased revenue from Transit Now. In fact, all of Metro’s revenues dropped twice as much as Transit Now was supposed to raise. As a result, common sense dictated – and the County Council agreed – that the 1/10th of a cent for Transit Now be used to shore up existing service, rather than adding the promised new service. It is also misleading to selectively point to ridership numbers that fell to near 2007 levels. 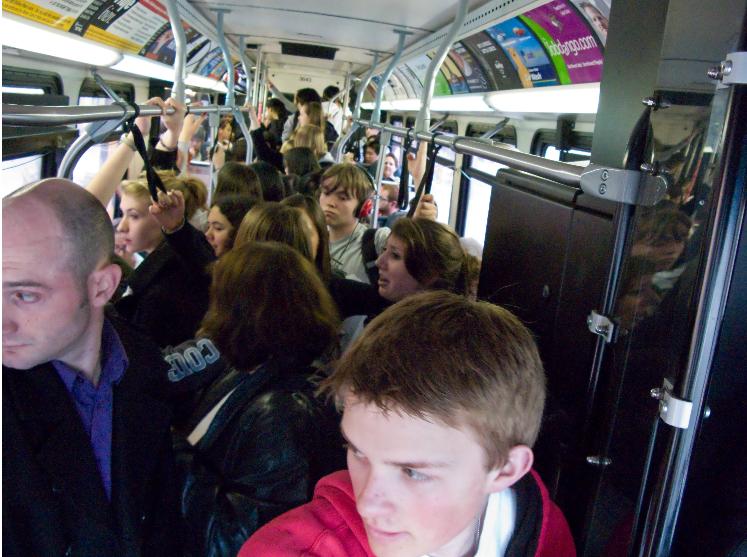 Ridership dipped recently because the economy fell. People lost jobs and no longer had to commute. That has changed. Right now what matters is that ridership has been rising this year –most likely thanks to gradual economic recovery and high gas prices. We now see ridership beginning to return to the pre-recession highs we saw in 2008, a period when Metro had three straight record ridership years, outpacing national trends. During this time, Metro kept its costs in line with the national average for transit agencies of the same size. But perhaps the biggest misconception being promoted by the WPC is the idea that innovative guidelines for the more efficient and productive allocation of bus service, developed by the Regional Transit Task Force and embodied in our new Transit strategic plan, somehow call for the massive cut of seemingly inefficient or duplicative bus service. Nothing could be further from the truth. The WPC has it backward. Nowhere does the Transit Strategic Plan or the Regional Transit Task Force recommend cutting 600,000 hours, or 476,000 hours, or even one hour of service for the public. What both do call for is getting more productive and more efficient use out of each transit dollar by reducing or eliminating routes with fewer riders, restructuring corridors that may, for example, have both regular and express buses on the same route, and reinvesting those service hours into routes that more people would use – all while ensuring that geographic areas and pockets of low-income residents who heavily rely on bus service get a fair share. The WPC twists those guidelines out of context as if they only apply to reducing the size of the system, as if you could simply whack the lower-producing routes and declare, “problem solved.” No, those guidelines call for reducing inefficient or redundant routes and reinvesting those hours in routes that more people would use. If we cut 476,000 hours it would deny almost 8 million rides and force people to stay home or use their car if they have one. That’s what the WPC recommends. If we instead reinvest low productivity hours carefully, over time, in routes that more people use, that would represent a true efficiency. And that’s what the Strategic Plan and the Task Force in fact recommend. Ask the Task Force members. That’s the problem with the WPC claim. It simply ignores the people who depend on our service. Metro is not Federal Express, nor should we aspire to be. People are not packages, to be shunted here and there. Ultimately, the WPC believes public transit should be run like a private business whose only consideration is the bottom line. It’s a false premise. When revenues for a private business drop, it can cut back its staff and hours and let people shop elsewhere. When revenues for public transit drop, the public demand is still there, waiting for their bus. When revenues for Metro fall off a cliff as they have, we can certainly “live within our means” and reduce service. That’s exactly the choice on the table. And that’s exactly the choice the public turned out in droves at public hearings to reject. The public is saying it wants buses on the road – at current levels. No one is asking for less service, much less 17 percent less service that will be felt by four of every five riders who would have to walk farther, wait longer, make more transfers, stand in the aisle, or stand on the curb and watch fully loaded buses pass them by. Riders have done their part through four fare increases that have left commuters paying $400 to $500 more per year than they did four years ago. Buses don’t drive themselves, and no one is giving away diesel fuel. The Congestion Reduction Charge will save bus service, reduce congestion for all drivers by keeping 15,000 cars a day off the road, and keep businesses and the economy moving while our leaders hammer out a statewide transportation package. As the Council moves toward final action today, I hope they base their debate on the facts, rather than the myths.